Can I tell you tell how much I love October? We are nearing the end of a week-long break at school, the weather has cooled a bit, and we have finally (OMG, finally!) turned off our AC unit. I'm in such festive fall mood! I'm sitting here today with a steaming cup of hot chocolate and fuzzy socks keeping my toes warm. Okay, I'm still wearing shorts and am actually sweating a little bit, but I don't care! It's fallllll!!!! My love for all-things-autumn have come out in my blog posts this week. Yesterday, I shared my new zombie apocalypse-themed alternative to the Dewey Caveman Story for older students. 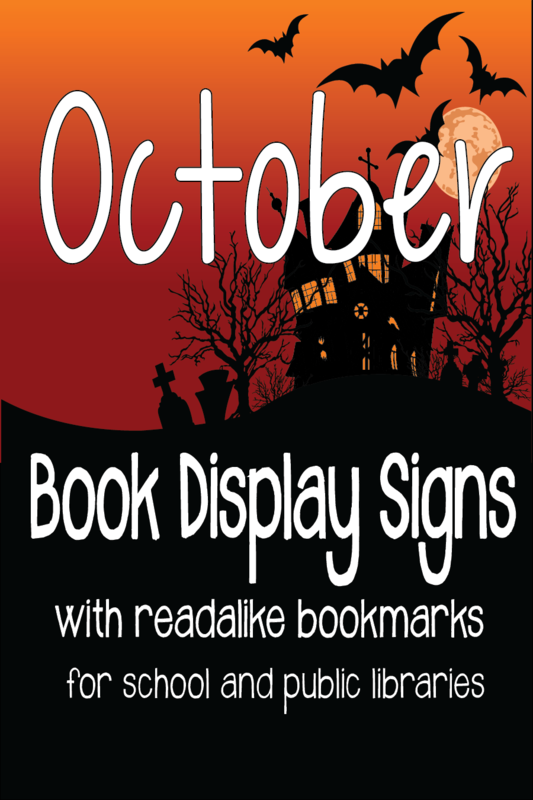 Today, I'm sharing another new resource: a set of themed display signs for October, complete with editable bookmarks and printable posters. My library has four designated display areas. Two of them are permanent, for our Battle of the Books and Panda Book Award displays. I love the two permanent displays because I don't have to do much for them except replace books as they get checked out. I change out the other two displays once a week. I'm totally lying, of course. What I should say is I want to, should, hope to change them once a week. But in reality, I'm lucky if I have time to change them out once a month. I'm pretty good about keeping up with restocking the books on display, but the theme of the display just doesn't get changed as often as I would like. Okay, they aren't (usually) that bad. If I don't have time to create something cute, I usually don't bother. And to be honest, the ugly sign above is still better than no sign at all...right? That's where these signs come in. I know I'm not the only librarian out there who does not have time to create new book display signs every week. So I've created a set of October-themed display signs. Print 'em, laminate 'em, and use 'em again next year. Anyone who comments that you reused the signs next year is welcome to come shelve a full cart of books while you sit down and create some beautiful new ones. I created these signs using Adobe Illustrator. AI is vector image software, which means the images won't lose clarity when blown up to a large size. All of these posters were created as 36" X 24" signs (poster size), but they can be printed smaller and even a little larger and still retain their crisp lines. Download these signs from TPT. Indigenous Peoples Day, Zombies, and Halloween all have two poster designs. Zombies and Halloween both have a younger readers design and an older readers design. I just couldn't decide with Indigenous Peoples Day poster I liked better, so I included both of them. No book display is complete without some freebies to hand out to your patrons! 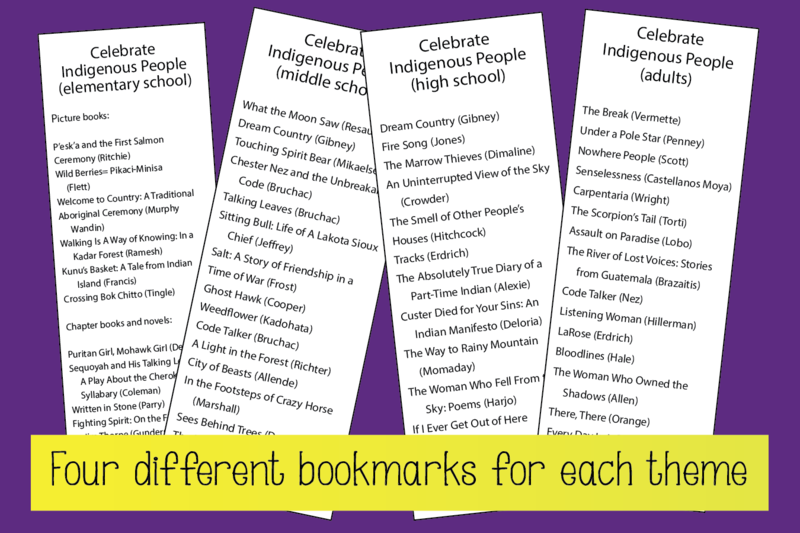 For each theme above, I've created readalike bookmarks for four reading levels. 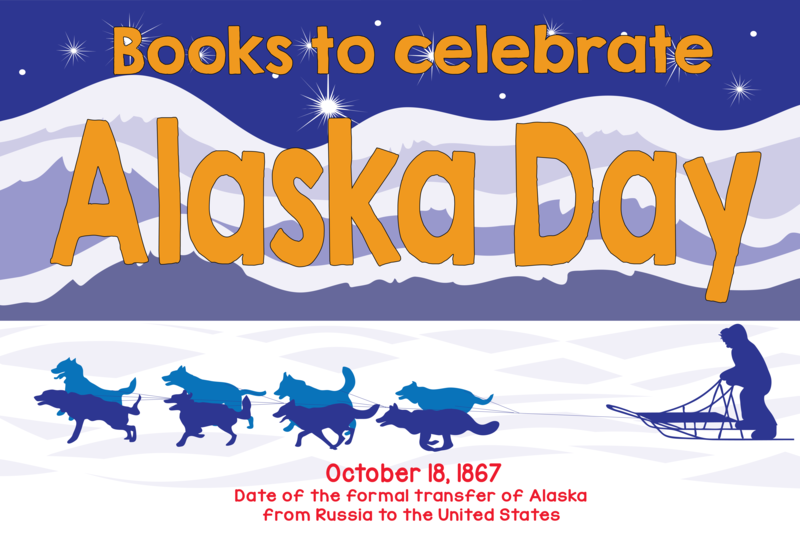 For example, Alaska Day has four bookmarks: elementary, middle school, high school, and adults. I added adults so that public libraries and adult readers in schools (teachers, parents, volunteers, aides, etc) can benefit from the booklists, too. Now that I've saved you time creating beautiful display signs and bookmarks to match, you might find some time to make the displays even more awesome. Here are a few ideas to pump up the volume on your fancy new displays. Indigenous Peoples Day--Does your library have a reading tipi? Place your display close to the tipi (or move the tipi). Alaska Day--Buy some cotton batting at your local craft store and create some snow! You could even have students cut out some snowflakes. Bonus points if you add a stuffed sled dog (just put it where it won't get stolen). Does Walgreens still sell these beanie babies? I bought some there a few years ago. Poisons, Toxins, and Venom--Uhhh...complimentary drinks? A bowl of apples? National Chocolate Day--Buy a bag of Hershey's Kisses and give them out with any checkout on National Chocolate Day. Zombies--Some old, dirty clothes? Or some dollar store zombie masks like these ridiculously gory ones on Amazon? Halloween is coming up, and there are lots of zombie display ideas on Pinterest. Halloween--Again, a trip to your local dollar store could turn up some gems for displays. Witch hats, scary masks, plastic jack-o-lanterns, trick or treat bags...the sky's the limit on this one. 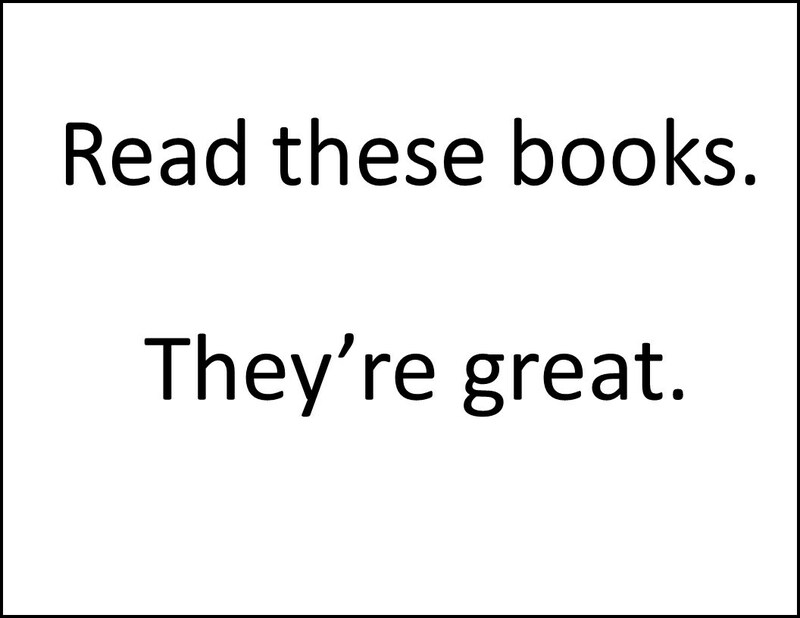 I'm really hoping you will all find these display signs useful for your libraries. I'm already planning out my November display signs and will share them when they are ready. I'm hoping that will be before we are five days into November, but the ideas come when they come. Happy October, everyone! 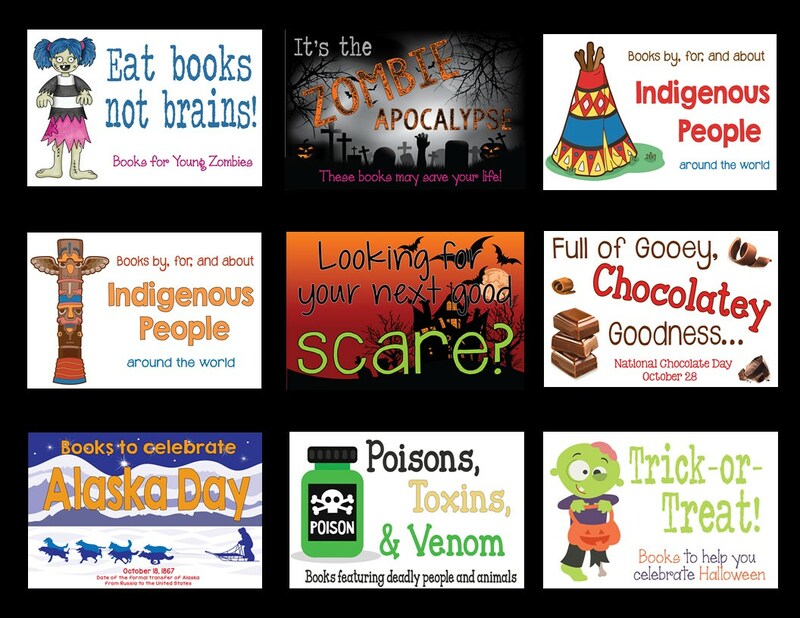 Download all nine posters and coordinating bookmarks from TPT. Love the posters and the bookmarks! Thank you!